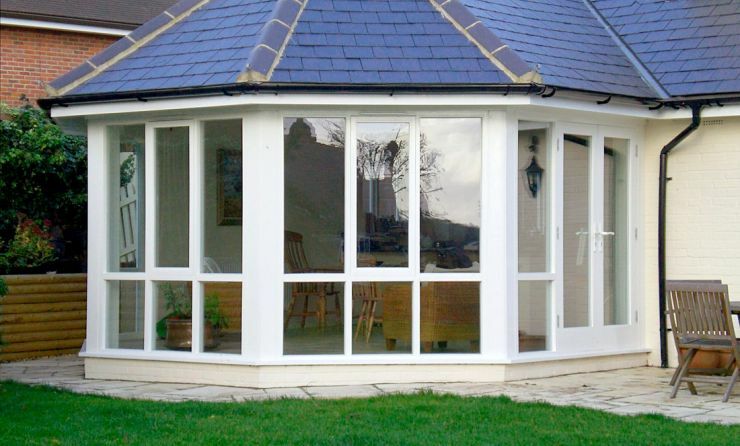 Whether working from architect's or other drawings, or from our own designs, our skilled craftsmen at One Step Joinery can manufacture wooden conservatories. Be it a traditional style for period homes or something more contemporary, our conservatories and glass houses are built and finished in high quality, reliably sourced timber to give years of service. We are also pleased to recommend Complete Glazing Services Ltd, with whom we can arrange to fit the glass required to complete your conservatory; and a full fitting service with A Grade Carpentry Services can also be provided. All the timbers and timber based products we use are bought from trusted, established vendors. Softwood is usually sourced from Scandinavia or Russia, and hardwood from Africa, North America or the Far East. We strive to ensure that all the timber we use is from managed forests with strict conservation policies. Our use of the latest laminating, jointing and preservation techniques maximises the life of the timber we use.